Check your wiper blades and replace routinely. Wiper blades wear out quickly here in Florida since they get used a LOT during the rainy months, and then endure continual wear and tear thanks to intense heat and sun during the rest of the year. That means wipers wear out more quickly than those of our northern neighbors, so you need to keep an eye on them. While there’s no hard and fast rule for how often to replace them, many drivers choose to opt for a new pair every year just to stay on top of it. It’s an inexpensive but effective defense against rainy driving conditions. Keep an eye on your tires. 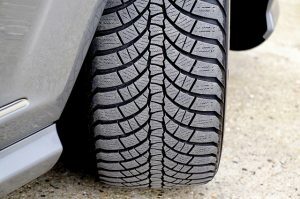 Just like wiper blades, the heat and sun in Florida can take a toll on tires, and if you are commuting often, mileage will also require tire replacements more frequently than those who stick to local destinations. Poor tire tread leads to longer stopping distances, poor control, and is likely to lead to an accident. A quick and easy test for the tread on your tires is a penny! Turn Lincoln on his head, stick the penny into the tire tread, and if you can still see most of his face, you need to look at getting new tires ASAP. Watch your speed. Speeding is never ok behind the wheel, but the consequences can be severe (and fatal) if you are speeding when weather conditions are rough. Wet pavement means you already need to allow more time and distance to stop, but speeding doesn’t account for those things. Taking a turn that usually wouldn’t be problematic at a high rate of speed in rainy weather could spell disaster for you or for another driver. It’s worth the effort to prepare ahead and allow extra time to reach your destination if you know the weather is less than ideal. Of course, sometimes an accident can come your way even if you’re the one taking precautions. When that happens, knowing you (and your car) are covered can give you peace of mind. 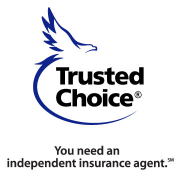 Carroll Marshall Insurance offers policies to meet your needs and your budget, and we’ll walk you through the details of multiple coverage options so you can make an educated decisions for your own unique situation. Give us a call to make your appointment, or stop by our Winter Haven office. Don’t forget your umbrella!